The University of Tennessee Research Foundation is a non-profit organization that promotes the commercialization of UT intellectual property, encourages an entrepreneurial culture, contributes to state and regional economic development, and promotes research and education to benefit the people of Tennessee and beyond. In its role as the technology transfer office of UT, UTRF works to identify and support UT inventions and discoveries with the highest potential to be developed into commercial products. Through the launch of new startups and via partnerships with existing companies, inventions are brought from the laboratory to the marketplace. Technology transfer benefits the public through the launch of innovative new products in healthcare, technology, agriculture, education and more. 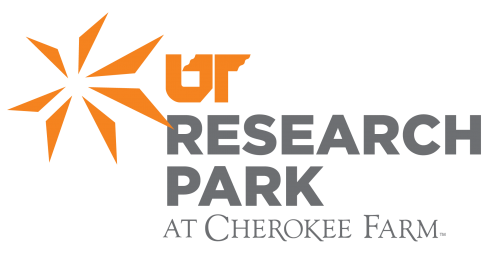 The UT Research Foundation frequently partners with the Oak Ridge National Laboratory and the State of Tennessee for research and education initiatives. Oak Ridge National Laboratory (ORNL) is the U.S. Department of Energy’s largest multiprogram science and energy laboratory, with scientific and technical capabilities spanning the continuum from basic to applied research. These resources enable the lab to tackle an exceptionally wide range of research and development (R&D) assignments, from fundamental nuclear physics to applied R&D on advanced energy systems. In addition, ORNL has a well-deserved reputation for combining insights from fundamental science with an in-depth technical understanding of applied systems to deliver practical solutions to real-world problems. ORNL aggressively pursues opportunities to put these solutions to work, often collaborating with industry to accelerate their deployment by the private sector. Launch Tennessee (LaunchTN) is a public-private partnership focused on supporting the development of high-growth companies in Tennessee. Its ultimate goal is to make Tennessee the No. 1 place in the Southeast to start and grow a business. LaunchTN supports entrepreneurship by providing resources, mentorship and connections for entrepreneurs, plus helping entrepreneurs obtain funding and connecting inventors with entrepreneurs and investors. The organization assists entrepreneurs with raising capital and focuses on outreach, hosting events that bring together entrepreneurs, mentors, researchers and investors from across the state and country and serving as the marketing arm for entrepreneurship in Tennessee. Pershing Yoakley & Associates provides timely insight and delivers comprehensive support in accounting, consulting, and management. The company has a proven track record of unsurpassed performance in healthcare, finance and business practice. PYA has been built with an unyielding commitment to integrity at all levels, objective research and reporting, creative problem solving and an attention to clients that starts at the executive level and filters through the entire organization. 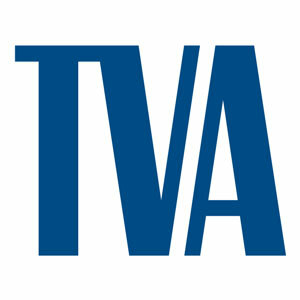 PYA launched Teknovation.biz in 2012 as a vehicle to allow East Tennesseans to spotlight and celebrate “all things” related to technology, innovation and entrepreneurship in East Tennessee. It is intended to help create more awareness of our region’s assets and help drive technology, innovation and entrepreneurial job growth. The Knoxville Entrepreneur Center (KEC) provides access to a regionally recognized company development program, an involved network of dedicated capital sources, successful local mentors, and world-class training. The KEC connects entrepreneurs with mentors and the resources necessary to start their businesses. It inspires, encourages, and enables entrepreneurs by adding value to their business ideas. The KEC is a place where entrepreneurs come daily to move their business ideas to a higher level. The University of Tennessee Anderson Center for Entrepreneurship & Innovation (ACEI) is a university-based resource for entrepreneurship across the region and the state of Tennessee. The center works to foster an entrepreneurial culture at the university and across the state by developing student skills, providing experiential learning opportunities, conducting meaningful entrepreneurial research, and connecting students with mentors and resources that enable them to successfully start and grow new businesses. ACEI also works externally with regional partners in Knoxville, government partners in Nashville, and colleagues across the state for both “for profit” and “social cause” organizations. Three Roots is a 501(c)3 non-profit corporation and is a certified Community Development Financial Institution (CDFI), working to aggregate multiple pools of capital along a continuum of capital, ranging from early-stage to later-stage, including both equity and debt. 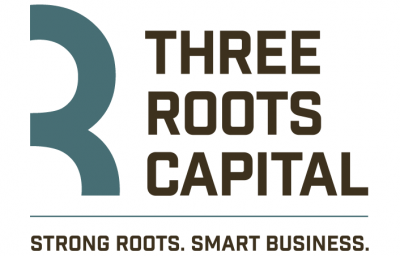 Three Roots Capital provides impact capital products and advisory services that create successful outcomes for client companies and attractive returns for financial partners. The University of Tennessee Research Park at Cherokee Farm in Knoxville, Tennessee, is the Southeast’s only research and development park where the resources of a major research university and a leading national laboratory are combined with globally recognized researchers expressly for the benefit of tenants. The campus offers tenant access to the research capabilities at UT and Oak Ridge National Laboratory. Located on 188 acres on the banks of the Tennessee River, the campus has 77 developable acres and includes 16 building sites that support approximately 1.6 million square feet of development. Parcels are available for immediate development, and research suite leasing is underway.